Published by Industrial Press, Inc., Springfield, Ohio, 1958. Cover has light wear. Inside pages are nice and very clean. 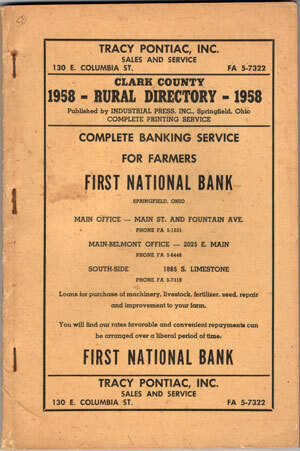 A directory of residents in rural Clark County, Ohio.